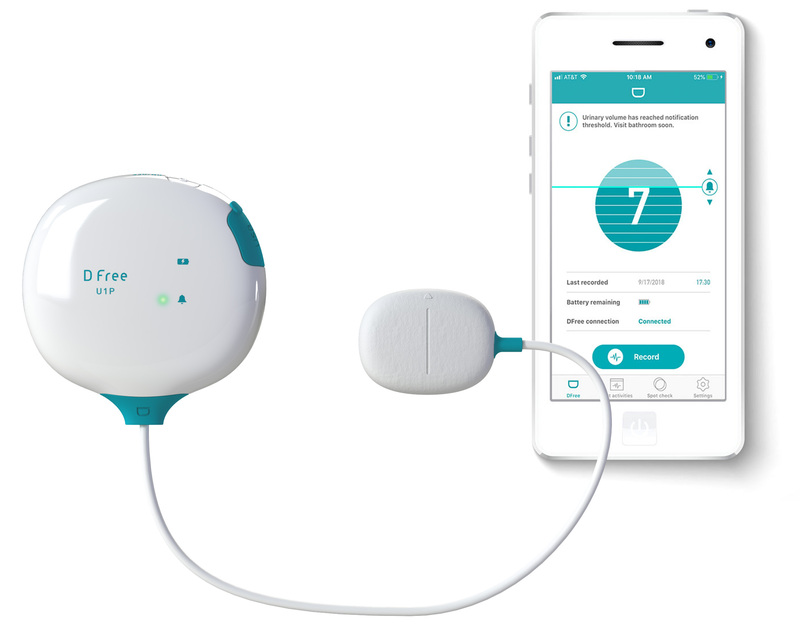 Triple W won “Best of CES” Award for the Digital Health and Fitness category for DFree, first health tech wearable device for urinary incontinence. 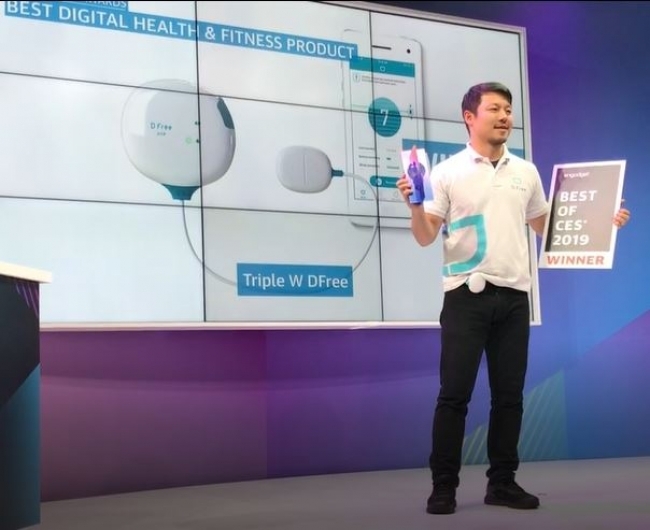 Triple W, an innovator of connected health devices, today announced it won the “Best of CES Award” for the Digital Health and Fitness Category at the International CES® 2019. Chosen from thousands of companies appearing at CES 2019, DFree®, the first health tech wearable device for urinary incontinence, stood out to Engadget’s editors based on its level of innovation, quality of design, overall efficiency and market demand. The winners were announced on the CES stage at International CES 2019, the world’s largest electronics show, by Engadget editors. The highly competitive awards competition was held during CES, Jan. 8-11, 2019 at the Las Vegas Convention Center. DFree won Best Digital Health and Fitness Product award category which recognizes companies that have demonstrated a product exhibiting the most innovative use of technology to improve users’ health and well-being. Winners were chosen in 16 different categories. 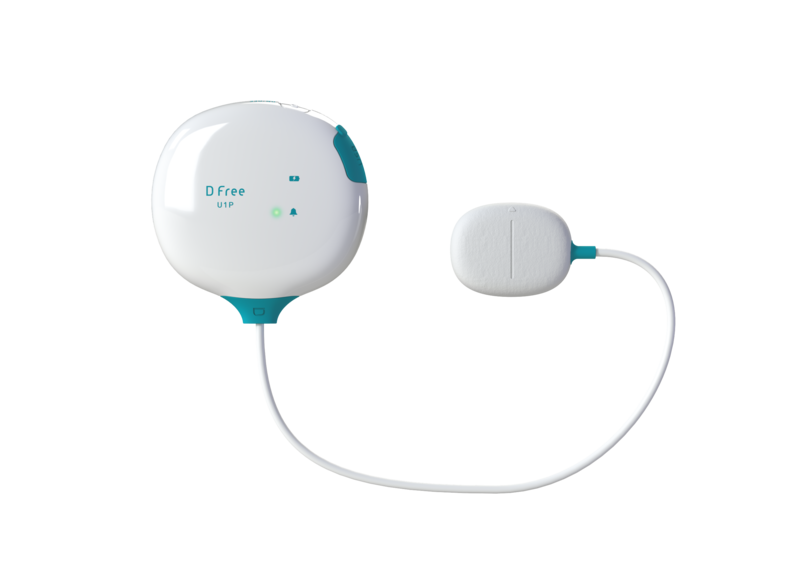 DFree uses ultrasound technology to monitor bladder fullness and notifies you on your smartphone or tablet when it’s time to go to the bathroom. DFree helps to prevent accidental urinary leaks. Seniors and people with disability who need to manage a loss of bladder control now have an alternative to disposable diapers or pads and medications with the DFree wearable health device from Triple W. DFree stands for “diaper-free.” According to the U.S. National Institutes of Health, urinary incontinence affects 500 million people worldwide. The Best of CES Awards Program started over a decade ago to celebrate the innovation and noteworthy products on display at the International CES each year. Engadget returns for its sixth year adjudicating the official Awards in partnership with the Consumer Electronics Association. CES® is a registered trademark of the Consumer Electronics Association. Engadget was founded in 2004 as a devoted, real-time source for tech news. In its second decade as a leading technology and culture publication, Engadget's web and mobile presence has grown to reach over 25 million unique visitors per month. Engadget is the official partner of the Best of CES Awards and has been the Official Online News Source for the world's largest tradeshow for consumer electronics since 2009. Find Engadget online at http://www.engadget.com. *DFree is not a medical device and is not intended to be used in the diagnosis, prevention, or treatment of diseases or conditions.